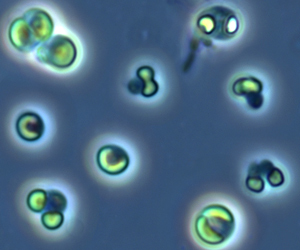 Picocystis is one of the smallest green algae. 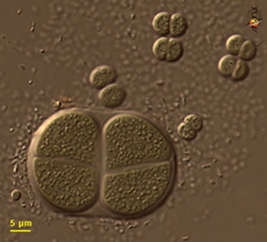 Picocystis salinarum occurs in vast numbers in Mono Lake, where it is also referred to as Mickey Mouse (see bottom left). 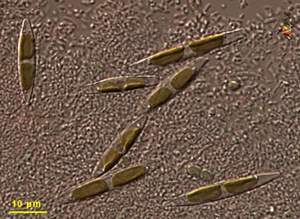 Image taken by David Patterson and provided courtesy of the microscope web site.